Balanced ski fit for beginner to intermediate riders who prefer freeride or all mountain terrain. High performance all-mountain women's ski that exemplifies versatility. 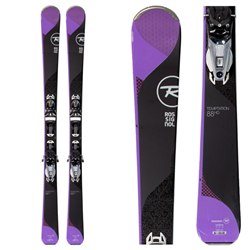 Professional-feel ski that allows expert skiers to dominate on and off the trail.